At Tower Clock Services Australia, we undertake the restoration, automation and repair of bells and bell towers, together with the procurement and installation of new bells. Typically a bell has remained silent for many years, sometimes for reasons of safety, often the tower has fallen into disrepair. Following a tower upgrade a bell is often used far more than it ever was before with automatic and on demand ringing. We have made a number of new towers for bells and refit existing towers to correct errors when the bell was originally hung. Bell towers in country churches and chapels were usually built by local labour as an afterthought using whatever materials were to hand (railway tracks are not unheard of!) with little regard to aesthetics and the architecture of the church. Often when enquiries are made in a country community regarding its history, a wealth of colourful folklore is unearthed surrounding the bell. Every bell has a story! School bells often have a colourful history and are used in various ceremonies. New bells are great for centenary celebrations. Where a school bell is automated it may be connected to an automated ringing system. 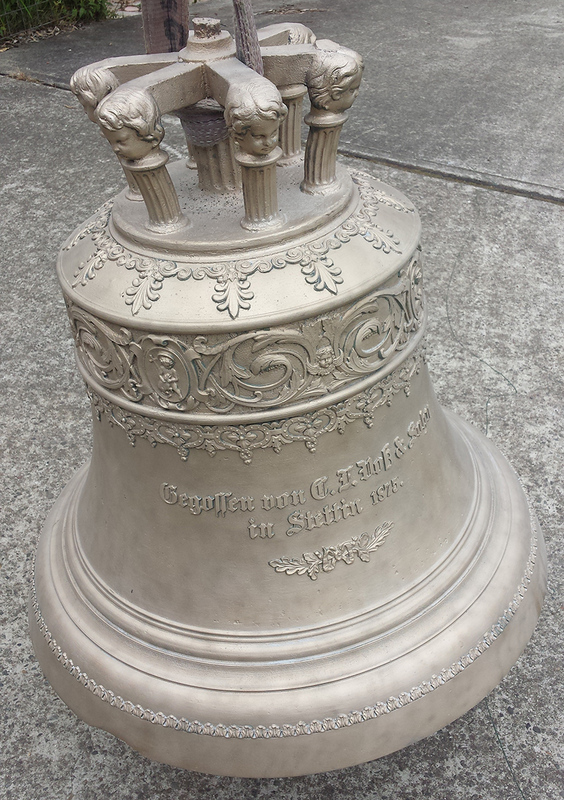 Sometimes a bell is damaged, the only foundry that will provide a ten year guarantee on repairs is in Germany. We have repaired some smaller bells, however this does depend where the damage is and how extensive.